Financial anxiety is real, and many of us experience money-related stress on a daily basis. Does it mean that we have to live in a state of constant panic over it? I don’t think so. So if you are being haunted by your bank account balance, these action steps will help you say goodbye to overwhelm and get you closer to your financial dreams! New Year’s resolutions have a high potential to fail so instead of stressing over them, try this forward-thinking alternative: finding your big why. Research indicates that when we set big goals and know why they are meaningful to us, we’re much more likely to accomplish them. So first ask yourself: what is the compelling reason that truly drives you to better your financial life? And then use this simple, yet powerful way to phrase meaningful goals (inspired by Simon Sinek, the author of “Find your why”). Choose a financial goal that you can be confident about and are thrilled about. Often we choose a goal because we feel this is what we supposed to do, instead of picking something that gets us genuinely excited. Choose one day a week when you allocate 30-60 min to review progress towards your financial goals. If you are a business owner, dedicate 1-2 hours a week to review your statements, cash flow, invoicing, etc. Remember to track of all your money wins! When time gets hard, looking at that list will give you a boost! Keep a checklist of all the tasks that need to be accomplished during the financial review so that you know exactly how to spend your time. You will reap the benefits and notice incredible results soon enough! Knowledge builds confidence. If you are serious about this year being your best financial year yet, you must commit to building your financial knowledge and skills. The truth is that no one will ever care about your financial future more than you do. Yes, it’s important to get help, but it’s your ultimate responsibility to know what’s going on with your finances. Many excellent resources can teach you about maximising your earning potential, managing your business finances or the best ways to invest your money. Get professional advice and support when you feel it’s required. It is one of the best things you can do to set yourself up for financial success and close the financial confidence gap. Research shows that having a specific accountability partner increases our chances of success to a staggering 95%! We always do our best to honour our promises when we know that someone else is paying attention to them. An accountability partner is someone who you can trust with your vision and your goals. They want you to succeed and are willing to support you every step of the way. Find a person who’s as eager as you to change their financial situation and work towards their financial goals. Be proactive, ask around, attend networking events, or a mastermind, look online for like-minded individuals. Soon enough you will find your success partner. Don’t become overly focused on your future results. I know, easier said than done! However, it’s crucial to celebrate our wins (even the small ones) and be grateful for what we have and what we've achieved along the way. So celebrate every milestone, be grateful for every opportunity that comes your way, every dollar earned, every dirham saved. Take the time every day to list 5 things you’re thankful for now. This will help you appreciate and enjoy your life to the fullest. So there you have it. Follow the steps, and you will become more financially successful. You will become a better decision maker in your business and personal life. You will become more in control of your finances and life. The key here is finding the confidence to own our money moves. Aggie is an experienced financial controller. 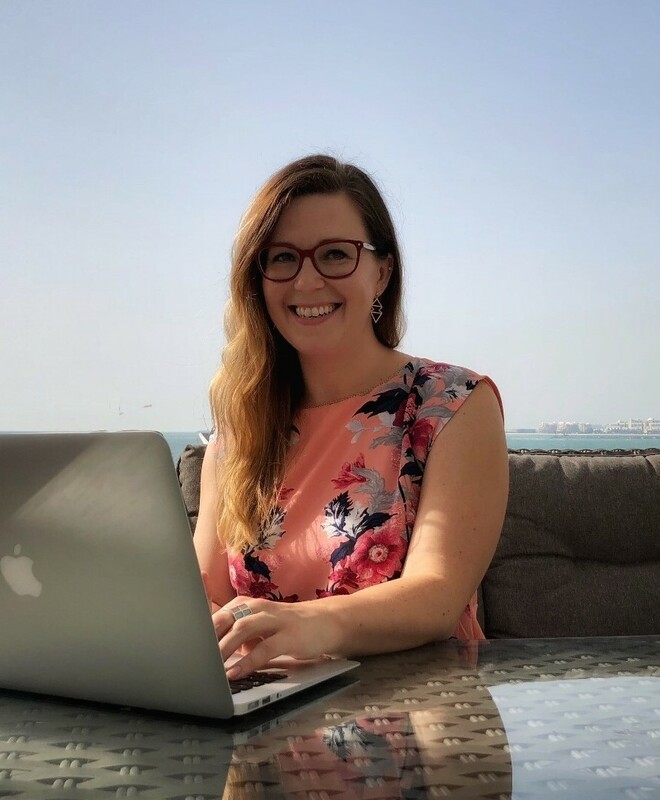 Holding a Master’s Degree in Finance and having worked as an accountant and financial controller for 10 years in Europe and the Middle East, Aggie has gained experience with a variety of corporations. Aggie is very passionate about helping entrepreneurs and small business owners. She would like to create an environment where they can get engaged with their finances as she believes that gaining awareness around money (both personal and business) will help create a more successful and sustainable business.